Recently, the Illinois Medical Amnesty Law went into effect. 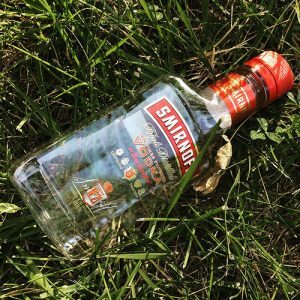 The law, which grants immunity to underage drinkers who call 911 to report an alcohol-related injury, was partly inspired by a similar heroin exemption passed a few years ago. Both laws attempt to address the increasing number of tragic deaths caused by alcohol consumption, many of which could have been avoided but for a minor’s refusal to contact emergency personnel out of fear of prosecution. Under current Illinois law, the crime of possessing, consuming, purchasing, or receiving alcohol while under the age of 21 years old is considered a Class A misdemeanor, which is punishable by a driver’s license suspension or revocation for up to one year. The minor is also required to pay a minimum fine of $500 and complete 25 hours of community service. Transporting alcohol while underage is also illegal under Illinois law and any passenger in the car can be charged with a maximum fine of $1,000. The driver faces a one year mandatory driver’s license suspension for a first offense and a one year revocation for any subsequent offenses. Cooperated with law enforcement officers and emergency personnel while at the scene. Acted in concert with another person who requested medical assistance for another person who appeared to be in need of assistance due to alcohol consumption. However, the law does not apply to more than three people acting in concert for any one incident. Deciding whether these factors have been fulfilled is left to the discretion of the responding law enforcement officer who must consider the facts and circumstances of the situation before making a reasonable determination. Furthermore, a person cannot bring a claim against the arresting officer based on his or her determination unless the officer exhibited willful or wanton misconduct. A charge of underage drinking can have devastating consequences for minors and their families, so if you or your child has been charged with an alcohol-related offense, it is important to obtain the advice of an experienced attorney who can explain your legal options. Please contact David Freidberg who will help you schedule a free consultation.